Three Fight Night Combat tournaments last weekend! Matty Schneider is once again leading the 2017 Rankings Race after winning the Freiburg 2017 Fight Night, a Standard 250 level tournament. He'd slipped to second place after Luke Burrage, the other Major 750 winner this year, won in Bergamo, but Matty is now 145 rankings points ahead. Matty is also up to third in the 52 Week Current Rankings, which will help him for seeding at the EJC. Matty beat Stephan Cipra in the final match. This is Stephan's best result since making the Aachen 2015 final over two years ago. 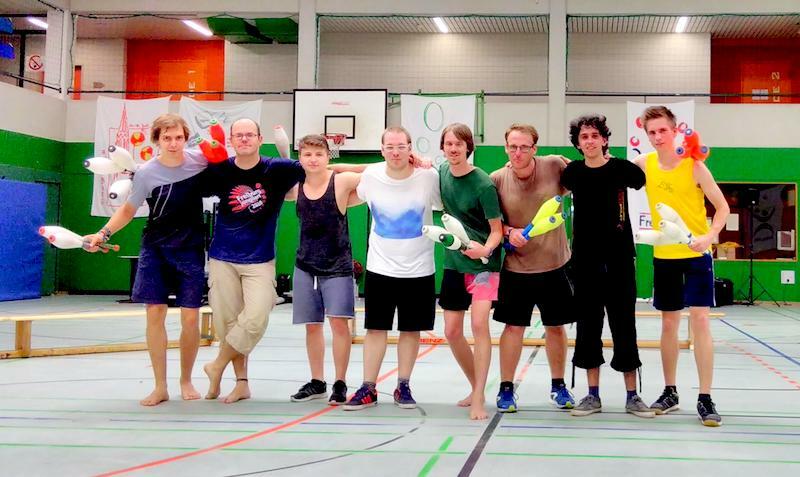 15 jugglers took part in the Freiburg Fight Night. Thanks to Nicki Cohrs for organising it. 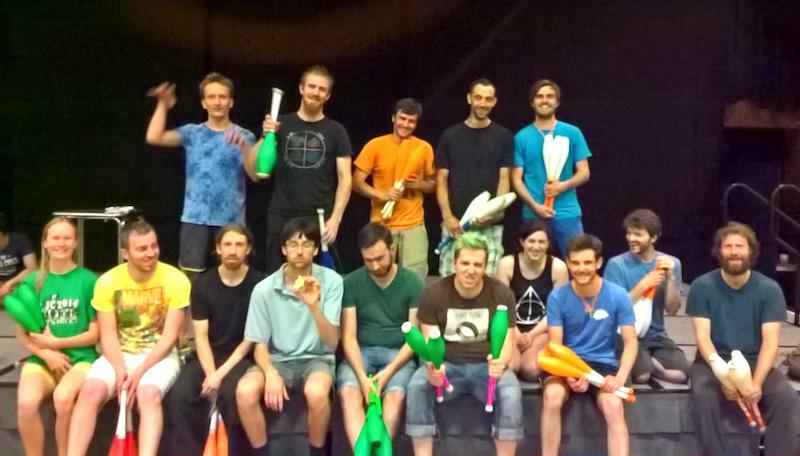 Over in the UK, the Sheffield Circus Skills Convention hosted its first combat tournament. 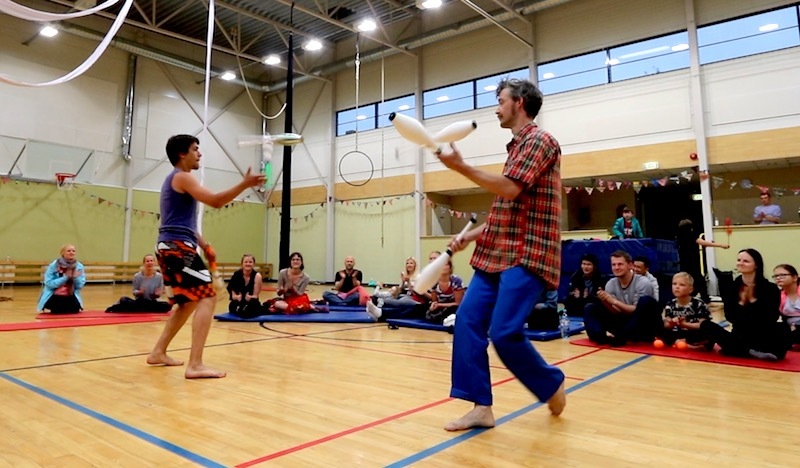 16 jugglers took part in this 250 event, organised by Cameron Ford. Cameron beat the top-ranked player in the UK Brook Roberts on his way to the final but there lost to Jon Peat. Jon's been out of the combat picture for a while due to a fractured wrist from a bike accident. By winning his first tournament back, Jon remains unbeaten in 2017 after two tournaments. The other two jugglers who are unbeaten in 2017 after two or more tournaments are Julius Preu and Jan Poolen. Having the initials "JP" seems to be the best way to ensure unbroken winning streaks this year. See also: Jochen Pfeiffer.